Khun Phaen Prai Kumarn Pim Song Pol Yai Takrut Koo No.1000 with Authenticity Certificate Silver Casing Luang Phu Tim. This amulet is one of a batch which was placed in Kru Burial Chamber (Hence ‘Pra Kroo’), and has Kraap Kru midlew, adding to its beauty and sacredness. The Song Pol Yai is said to possess powerful Serm Yos Magic to increase chances of promotion of status. 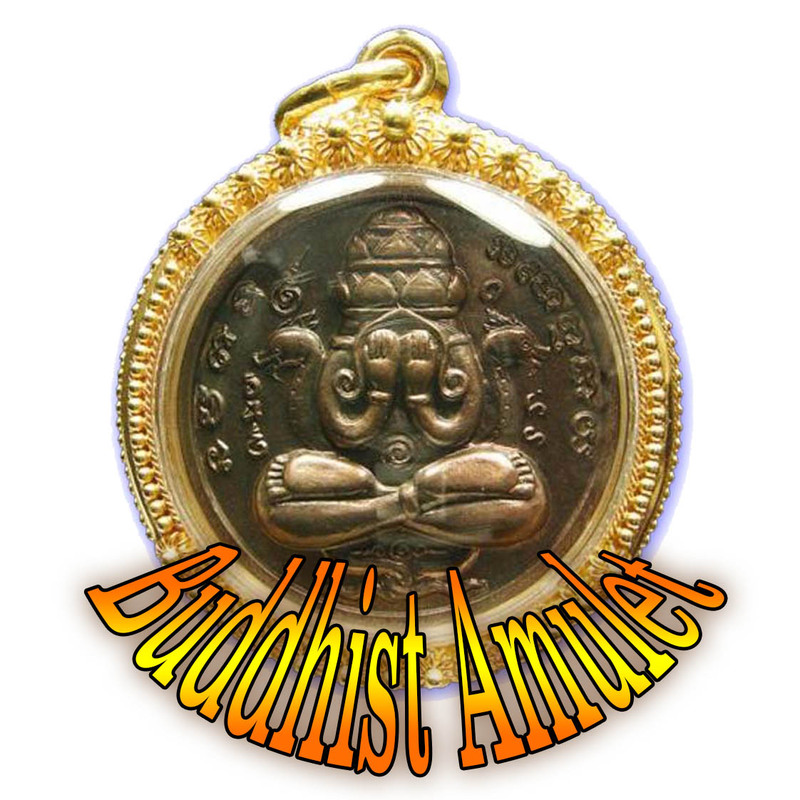 This amulet (Official registry number #1000) comes with certificate of authenticity from the November Amulet competition of the Luead Ban Kaay Luang Phu Tim amulet association, which we will send with the amulet for you to keep, This Pim Song Pol Yai Long Kru was made both with single Takrut Maha Bpraab, and with twin Takrut Koo Sariga version. This exhibit has a Takrut sariga Koo twin Takrut inserted in rear face. A most exquisitely beautiful Pra Khun Phaen Prai Kumarn Pim Song Pol Yai (Fak Kru – hidden in burial chamber), in Nuea Khaw Hniaw Sukh Pasom Pong Prai Kumarn Long Sai Rae Tong, with twin Takrut Koo Sariga in rear face, by Luang Phu Tim, of Wat Laharn Rai. 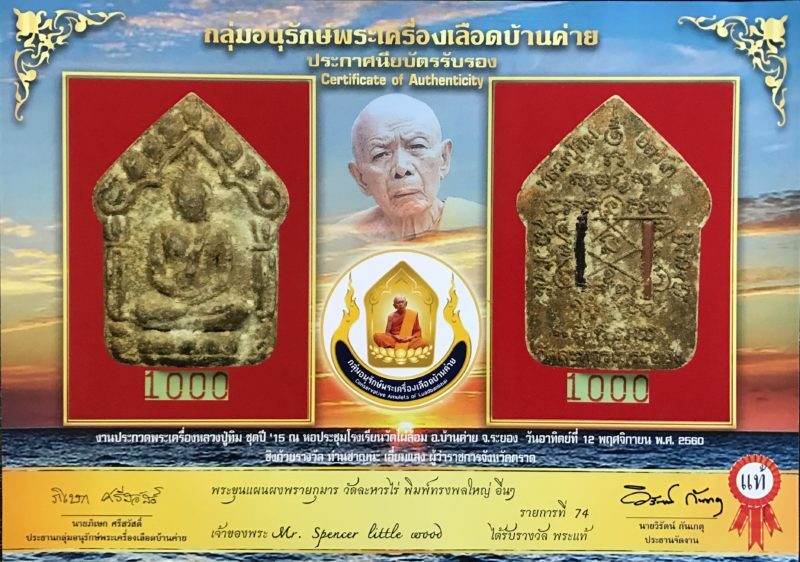 This Pra Khun Phaen has been authenticated and issued with Certificate of Authenticity from the Samakom Pra Krieang Luang Phu Tim Luead Ban Kaay Amulet Association of Rayong, with signature of its President Dr. Pisek.